MobileMe is a Gallery app which stores your email, contacts, and calendars in the cloud and automatically keeps them in sync across all your iOS devices. 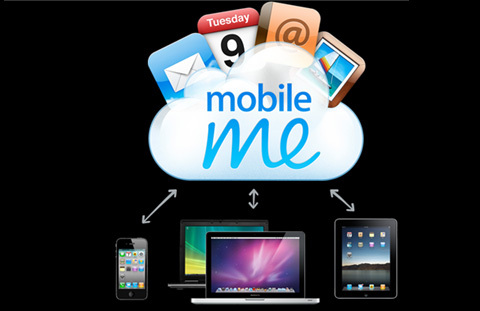 You can sync your iPhone, iPod and Mac to access your data whenever and wherever you want with MobileMe. Now the app has been updated to add your iPad to the list and it’s already available to download on the App Store. MobileMe also allows you to store, view and share photos, video clips and movies from your iOS devices with just a few clicks. The new MobileMe version also helps you find your iPhone and iPad if you lose them or forget where you put them with the new Find My iPhone app or online at me.com. And if you can’t get it back, the Remote Wipe feature protects your privacy by deleting all personal data from your device which the thief can use against you. MobileMe 1.2 now also supports multitasking like the iPhone 4 and very soon for the iPad when iOS 4.2 is released for the tablet. iPhone 4’s famous Retina Display and the ability to view a friend’s gallery without having a MobileMe subscription, have also been added to this release. Apple is offering a free 60 day trial for the new app and at the end of that period, you’ll have to pay $ 99 per year to use the app.